A truly emotional quote reflecting what parents mean for a child with special needs / autism. But this inspirational message might as well apply to anyone else out there, friends or social workers who dedicate their lives to persons with disabilities. 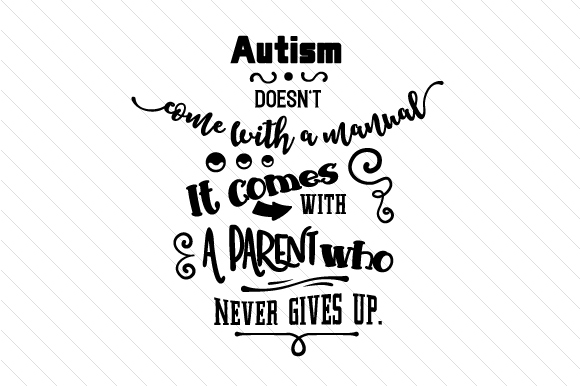 Show your appreciation for someone who never gives up by offering custom gifts with this motivational autism quote. From imprinted t-shirts to framed word art prints, whatever you choose will be highly appreciated.